Our spring exhibition will run from February 27th - April 8th, 2018 and will feature Jeff Mann, Conrad Beaubien and Member Artists. 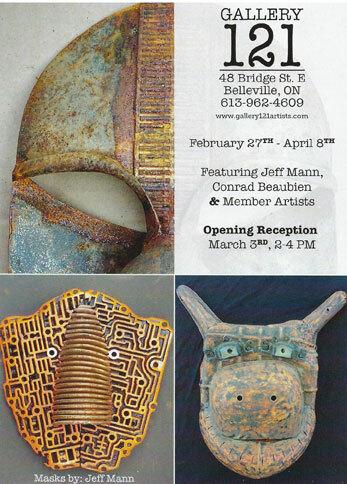 Be sure to attend the opening on March 3rd, 2:00 - 4:00 pm and meet the Artists. Refreshments will be served. 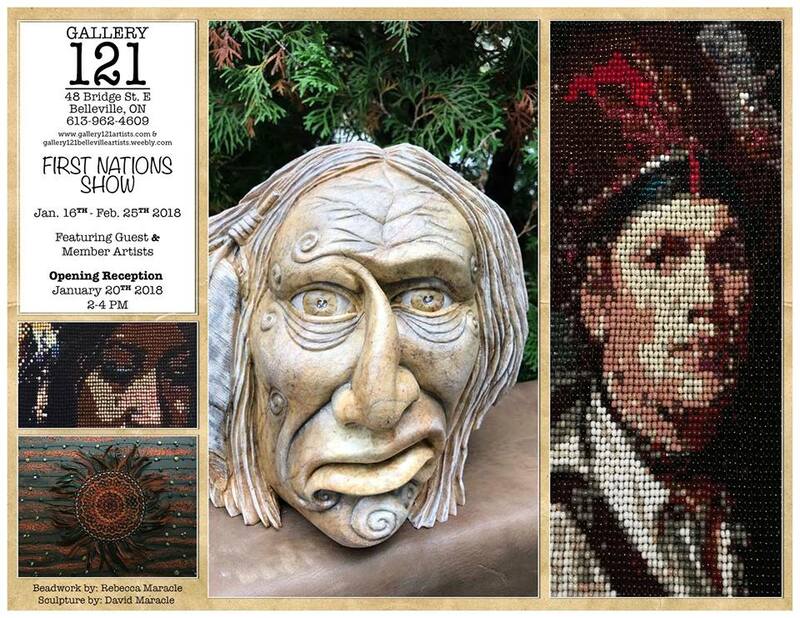 Be sure to attend this afternoon's opening reception of Gallery 121's First Nations Show, which is one of the most highly acclaimed annual expositions in The Belleville Arts Calendar, featuring works by Rebecca and David Maracle, opening remarks by Dr. Marlene Brant Castellano and artworks from other Guest and Member Artists. The reception will be from 2:00 - 4:00pm. 48 Bridge Street East, Belleville Ontario. All are welcome.